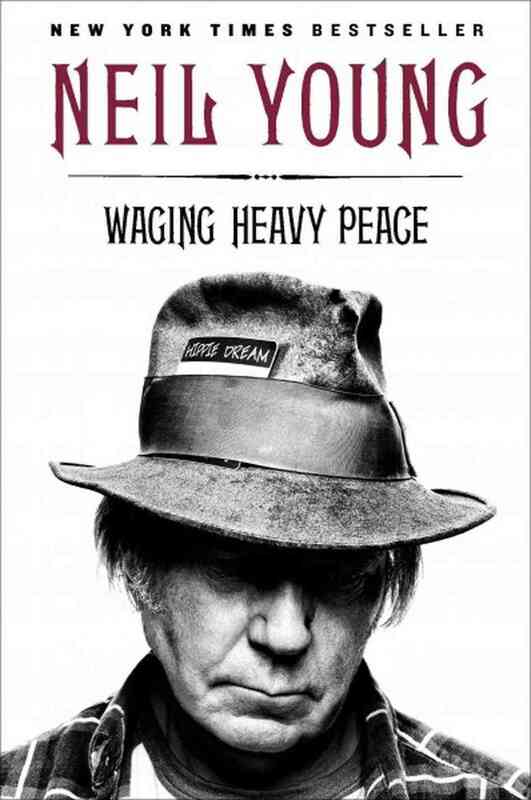 I just finished reading Neil Young’s 2012 autobiography Waging Heavy Peace and I’m feeling really conflicted. The best memoirs are the ones that feel like you’re sitting with the author listening to their stories. And while Waging Heavy Peace fails on a number of levels, one thing it does well is capturing the essence of Young. Reading the book totally felt like having a conversation with Neil Young, albeit a really one-sided conversation. I really wanted to recommend the book, but Young’s scattershot recollections and constant jumps through his life’s chronology make Waging Heavy Peace a tough read for anyone not already a die-hard fan. I’m okay with a non-linear account of one’s life, but it has to be done correctly and Young isn’t up to the task. Young also tends to refer to his famous friends as…well his friends. Paul McCartney is “my friend Paul” which is really cool and down to earth, but also very hard to suss-out when reading a book about someone’s life in which they meet a lot of famous and un-famous people. Also frustrating is the fact that a sizeable chunk of the book is devoted to Young’s passion projects: a “revolutionary” new audio system called PureTone (which is later renamed to Pono), an extensive collection of Lionel model trains, old cars that Young buys online, the Lincvolt electric car he’s building/financing to raise awareness about fossil fuels. Like a timeshare meeting where you’re given a free vacation, if you can sit through Neil’s PureTone pitches you’re free to wander about his strange life. I don’t mind a legacy artist (as he describes himself) indulging himself and talking up his pet projects, but Young brings these things up multiple times. Worse, he usually just regurgitates what he’s already said about them. This gives the book a feeling as though it was patched together and not edited very well. The looseness of the book, indeed the reason the book exists, is that Young has learned he is on the cusp of dementia. So I’ve decided to cut Young some slack in regards to the repetition in some of the book. In the beginning, Young explains that he broke a toe and stopped smoking marijuana on the advice of his doctor. These two events forced the legendary musician to temporarily give up music, so he sat down and wrote Waging Heavy Peace. I really did enjoy Young’s discussion of sobriety and it’s effect on his music. He explains that he’s never written anything without being under the influence and is worried he won’t be able to access the “cosmic” world of music without drugs. It’s a valid worry and it was interesting to read about his hopes and fears regarding his music. As the book plods along, he writes about how long it’s been since he’s smoked or drank and correlates that to how long it’s been since he’s written a song. 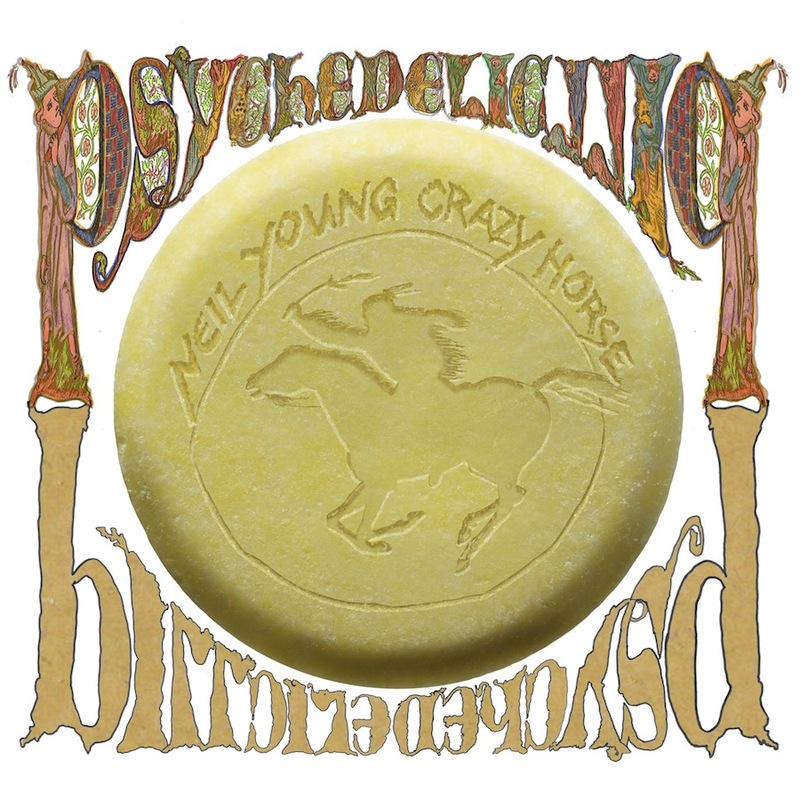 Neil’s album PSYCHEDELIC PILL was my number one album of 2012 and I hope he wrote and recorded it after/during the writing of this book, but it’s not made clear. In fact, throughout the book he talks about getting Crazy Horse back together to cut an album, but never writes about doing it…so I’m thinking the album was done after the book. It would have been nice for him to add an extra chapter explaining how it went. I think PSYCHEDELIC PILL is one of Young’s best albums, so if he did it sober that would be so amazing. I admire the guts it takes to write an account of ones life, and despite being a notorious curmudgeon, Young frequently acknowledges his mistakes. This more than honest look at himself and his career is what saves Waging Heavy Peace and refreshingly, at no point in the book does Neil Young come across as anything but authentic. I didn’t pick the book up just to read the story about his relationship with Kurt Cobain, who famously quoted Young in his suicide letter, but at the time the book was published there were stories in the media that led me to believe this topic would be addressed in Waging Heavy Peace. Sadly, Cobain is mentioned fleetingly—like just one sentence. It was disappointing, but that’s not Young’s fault. Young’s experiences as an illegal (undocumented) alien at the start of his career were fascinating. I knew that Young was Canadian at a time when it was uncool to be from the Great White North, but I had no idea he snuck into the country and was terrified each and every time he got behind the wheel of a car. He had no license or Social Security card for many years and to this day still has pangs of fear when he sees a Sheriff’s patrol car. Waging Heavy Peace reminded me a lot of Bob Dylan’s 2004 autobiography Chronicles Volume 1. Like Dylan’s book, Waging Heavy Peace is an unconventional and unfinished look at a legendary life. On the final page Young says that there will be future books, which may someday surface and shed more light Young’s remarkable career. I’m not sure if I’d pick up Young’s next book, at least, not for $30.00. If you’re a fan and still haven’t picked the book up I definitely recommend you do. For everyone else, I’d say familiarize yourself with Young’s music and maybe pick up another biography before wading into Waging Heavy Peace.